I bought some fresh table size Cencaru from the market last week. I have not been cooking Cencaru Sumbat cili (Chili stuffed fish) for quite sometime due to the hassle of having to saute the chili paste separately before stuffing it into the fish and then deep frying them. 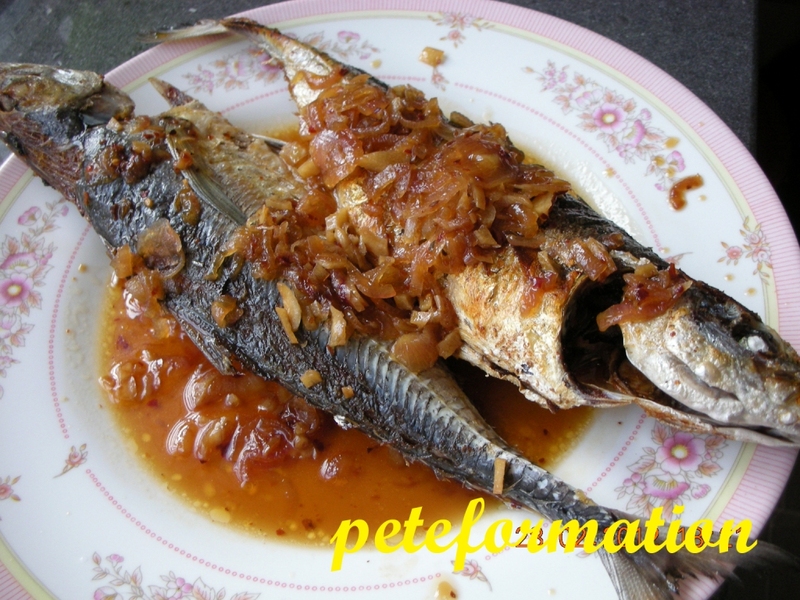 However, cencaru fish taste very delicious when cooked this way. Even my four year old son enjoy this spicy treat! LOL! Pour vegetable oil into hot wok. Saute, shallots and chilli paste until fragrant. Add tamarind juice, salt and sugar to taste. Fry until the mixture turned into a semi dry paste. Stuff the chilli paste (sambal) into the fish. Heat up enough oil for deep frying. Fry fish at high heat until they turned golden brown. Serve while still hot! Wow this is my fav fish especially lots of sambal stuffed in...yummy. I always take one ekor with white rice. Yummmm...I like this fish and the similar ones of around the same size. Cheaper than some of the bigger ones and can be even nicer. Today, I'm going home to ask my mother cook this for me :)..... despite being sick and coughing non stop. I love this type of fish with lots of sambal too. This is one of my favourite fish!